This “ebook” is completely portable on electronic devices, in a format compatible for reading on any ebook reader. Unlike the content on the website, the content in the ebook is not dependent on a connection to the Internet. You can even take it to the beach! The 1,172 pages (6.25 MB) contain text, images, and internal and external hyperlinks. The internal links function on their own and are particularly helpful when selecting posts in the Contents or following Footnotes to source references. To use the ebook’s external links, yes, you’ll need to be connected to the Internet. Because the ebook is basically an electronic file, it can be easily shared with friends and family. I have not set any restrictions on its replication as long as normal copyright rules are respected. This ebook makes a great gift from you to other surfers you know who appreciate a more detailed look into the history of surfing. I sincerely hope you enjoy this collection that represents eleven years of LEGENDARY SURFERS posts on the Internet. Please feel free to add any comments you may have about it. I always love to hear back from my readers! The complete, unedited biography of Tommy Zahn is available in printable ebooklet form for $2.95. The 24,792 word article (49 single-spaced pages) is the master copy of a smaller article that was originally printed in THE SURFER'S JOURNAL, Volume 9, number 2, Spring/Summer 2000 (sold out). Over 50% more material is included in the ebooklet version.  "Bounding the Blue on Boards"
 24 Years skipper of rescue boat Baywatch Santa Monica. Second highest rescue count of all 8 Baywatch stations. 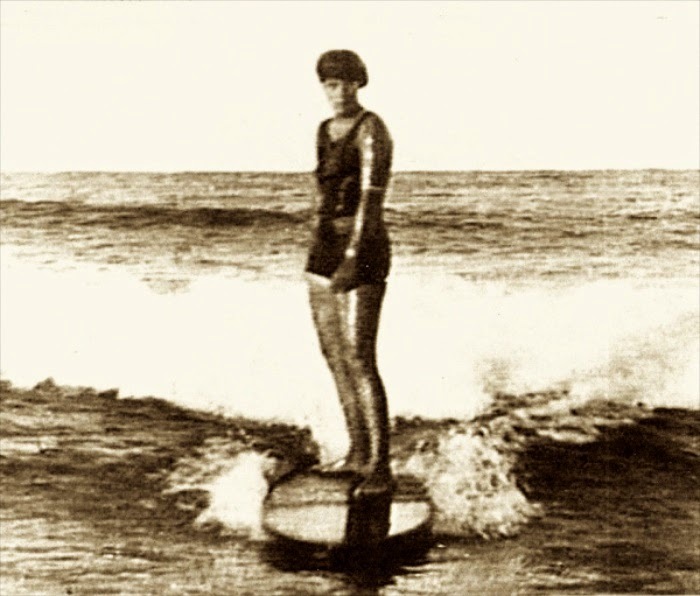 The period 1910-1919 was the first full decade following Surfing's Revival at Waikiki in the first years of the Twentieth Century. In many ways, we know less about the 1910s than we do the first decade of surfing's resurgence because, once the revival was underway, the growth of surfing became less dramatic, albiet more far-reaching. 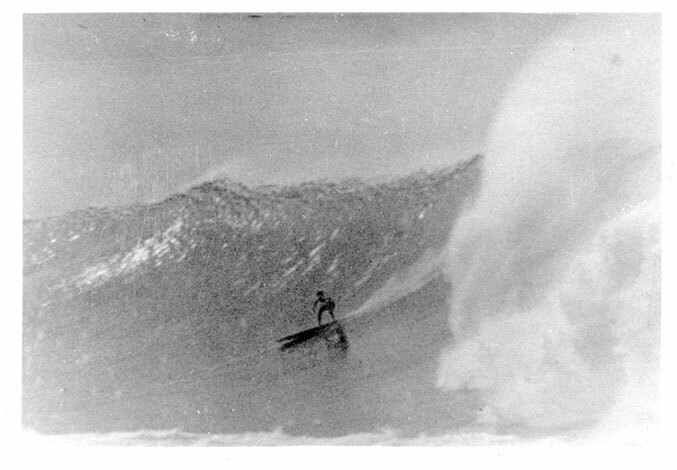 This chapter covers the events and the surfers of that decade in the kind of depth that cannot be found anywhere else. "The 1910s" is 14,784 words long and comprises 42 pages in length (1.81 MB), including several pages of footnotes. It is formatted in Adobe Acrobat's free Portable Document Format (PDF) for easy viewing and printing from your computer. Additionally, the electronic file can be freely shared. Aloha and Thank You for Your Interest in My Writings. Four different types of surfboards came out of the Polynesian settlement of Hawaii and the evolution of Hawaiian culture which occurred during the period of the Long Voyages (300-1000 A.D.). Hawaiian surfboards had their beginning around or after this time. It is unknown how much the Hawaiian boards stemmed from the Polynesian. The four types of Hawaiian surfboards were, in order of their length: the Olo, Kiko`o, Alaia and Kioe (aka Pae Po or Paipo). This chapter documents as much as is known about these boards and comprises the world's most complete information on the subject. This LEGENDARY SURFERS eBooklet on Traditional Hawaiian Surfboards (aka "Ancient Hawaiian Surfboards") focuses strictly on the boards, their construction, composition and rituals surrounding their making and dedication. 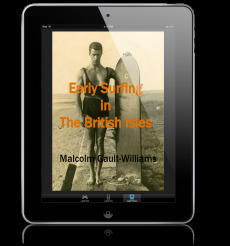 It is enhanced with additional material and images which make this eBooklet the best and most concise, detailed single-source on the Hawaiian surfboard of the pre-European contact period. 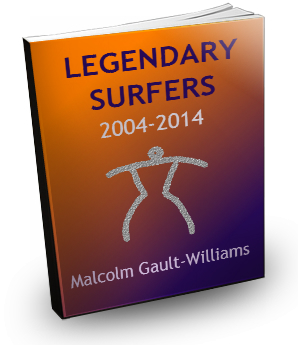 This original LEGENDARY SURFERS eBooklet was first published in 2003 and then revised in 2005 to include additional material. Total pages: 18 (585 KB), including three pages of footnotes.